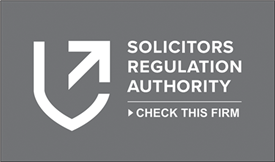 Since 1987 QualitySolicitors Jones Robertson has been working hard for individuals and businesses in Runcorn and Widnes – providing excellent customer service. Part of a national network of law firms, QualitySolicitors Jones Robertson is proud to be the provider of choice in the region. As part of this network, you can be sure you are receiving a quality service. We have branches in Runcorn, Widnes and Warrington, meaning you never have to travel far to obtain professional, tailored advice for your legal issue. Knowing the specific needs of the local community means that we have happy clients who return to us time and again. Whether your requirements are straightforward or more complicated, we have the knowledge and expertise to help. If you are moving house, dealing with relationship breakdown, making a will, being prosecuted or wishing to claim compensation after an accident; we can help. We will keep you fully informed throughout the process and make sure you know your rights and all options available to you. We do not just help people, we have the experience and expertise to deal with small and medium commercial enterprises. We can assist in setting up and acquiring businesses, as well as advising on commercial leases. All of our offices are easily accessible from the street, with free parking close by. Whatever your legal need, we want to help! Rosie helped me with the purchase of my new property, I was moving areas and she made the whole process so easy, she was professional and kept me up to date with everything. I would absolutely recommend her and Jones Robertson. Mr Jones and staff, I cannot tell you how much I have appreciated your help and kindness after the death of my mum. Mr Jones, thank you for all your help, patience and time in helping us prepare the Lasting Power of Attorney. To Jan, Thank you for all your help and support at this difficult time. It’s much appreciated. Thanks again. Dear Chris and team, just a little note to say a big thank you for such a smooth conveyancing transaction. To Anne, Thank you so much for all your help and support over the last year. I always felt confident after seeing you and trusted you 100%. Thank you again. Ian, thank you for all your help....couldn't have wished for a better outcome! Really appreciate it! I have purchased property several times over the past 30 years and I can honestly say that the conveyancing service provided by Rosie at Jones Robertson has been by far the best I have experienced. Communication has been excellent throughout the process and completion was achieved without delay. To Anne, with thanks for unerring good judgement, sound advice and a great sense of humour.